Ce document au format PDF 1.4 a été généré par PScript5.dll Version 5.2.2 / GPL Ghostscript 8.15, et a été envoyé sur fichier-pdf.fr le 04/02/2016 à 09:58, depuis l'adresse IP 194.214.x.x. La présente page de téléchargement du fichier a été vue 588 fois. 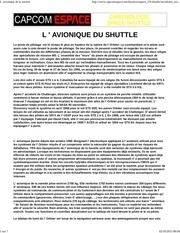 Taille du document: 8.5 Mo (129 pages). a brand of Simsquared Ltd.
NASA website at www.nasa.gov and other sources. Some 3D models are used under license from their respective authors. 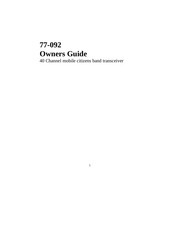 supersedes any previous versions of the manual. Publisher .............................................. Error! Bookmark not defined. browsing through that document once. So what exactly does SSM2007™ have to offer? the mainstream PC hardware and the target audience (you). &quot;rocket scientist&quot; to enjoy it! 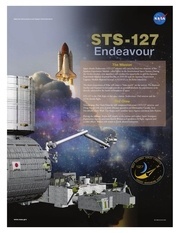 are simplified and automated (like the robotic arm of the ISS). tasks which are performed by specialized crew members. having the simulator shelved after the first 15 minutes or so. you will definitely be rewarded with some very exciting add-ons. mankind has achieved in Earth Orbit operations during the last decades. aircraft, but as we shall see, it is much more sophisticated than that. therefore work most of the time without any special protective space suit. cockpit through a pressurized airlock. supply additional thrust during the lift-off stage. system and a highly skilled pilot. the Landing Gear which consists of two rear wheels and a Nose Wheel. Shuttle to a complete stop. handling parameters several times during its mission. away from known shipping lanes. and also conserves precious fuel. surface during the re-entry phase. Rudder surface into two sections. two rear and one nose wheel. maintenance and building and re-supplying the ISS. bay doors which can be closed and opened in space. temperature control of the Space Shuttle crew and equipment space. Almost all the mission phases are fully automated under computer control. a CPU, memory and I/O and is connected to hundreds of sensors. launch, ascent to orbit, maneuvering in orbit, entry, and landing. is only used in vehicle preparation at KSC. associated with OPSs and are for monitoring purposes only. their relevance to SSM2007™ (in BLUE). second&quot;. During a mission time is measured as relative time before liftoff &quot;T minus&quot; or &quot;T-&quot;, and time after liftoff – &quot;T plus&quot; or &quot;T+&quot;. the aft A4 panels which display it in the full DD:HH:MM:SS format. The time format for this section is MM:SS:TT. The crew turns on GPC #5 and puts it in mode OPS 101. Helium is transferred to the Main Engines. Mission Control cycles the ABORT light on the F6 panel. The Launch Tower Crew Access Bridge is retracted. The crew prepares the Auxiliary Power Unit (APU). disconnected and all its operations are under GPC control. The aerodynamic control surfaces are moved into the neutral position. Engine nozzles are gimbaled into the neutral position. in the Liquid Oxygen tank. in the Liquid Hydrogen tank. The APU and countdown are now under GPC control. The Shuttle is under full GPC control. then Engine #2 and #3 with a 120 millisecond delay. The SRB engines are fired and the Space Shuttle enters the Ascent phase. the various readings and follows specific checklists. Space Shuttle clears the Launch Tower. The Space Shuttle performs the Roll maneuver. dynamic pressure on the Space Shuttle. The main Engines are throttled up to approx. 104%. The SRB engines stop working. one of the future Shuttle flights. GPC automatically enters the OPS-103 mode. not possible to abort the mission and perform a RTLS. Ascent angle is adjusted in preparation for the Main Tank separation. two of its Main Engines. Main Engines are throttled back to 68%. Main Engines Cut Off (MECO). Main Tank is disconnected and separated from the Space Shuttle. GPC automatically enters the OPS-104 mode. as a preparation for OMS-1. The crew shuts down the APU and changes the GPC mode to OPS-105. around Earth, preparing for final Orbit Insertion. The crew changes the GPC mode to OPS-106. for its mission in orbit. service or capture satellites, perform experiments or dock with the ISS. the RMS and other various equipment, closing the bay doors, etc. GPC is switched to OPS-301 mode. crew checks the OMS engines. The crew prepares the APU for activation. the Deorbit and Landing processes. towards the direction of flight. direction of flight. The GPC is put in the OPS-303 mode. General switches status check before entering the Atmosphere. At this point, the residual Forward RCS fuel is emptied in space. a preparation for entering the Earth Atmosphere. begins to engulf its body. maneuvers appears as a series of &quot;S&quot; turns. regains communications with the Mission Control. The Shuttle deploys the Air Brakes to the 100% position. of 3.3 Mach. The Air Brakes are moved to the 65% position. 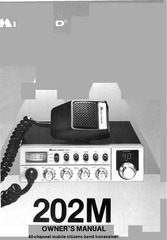 SPEC 50 horizontal attitude display mode. glider and the Commander takes over the control of the Shuttle. Commander will gently guide the Shuttle towards the runway threshold. controls the energy and lift. to the guidance cues coming from the tower. touchdown. Please note the approach speed – it should be around 250kts. The Shuttle is brought to a complete stop. The pilot performs the shutdown procedure which goes on for about 30'. and begins exiting the Space Shuttle. mission phase to access the MCC screen. You can leave the MCC at any time by pressing F1. 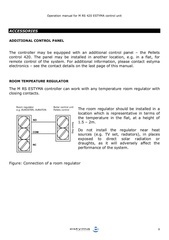 monitor the system status without the need to select the relevant panels. 3DVC you will be seated in the Commander's Seat. through all the available Crew Stations, including the Mid-deck. Crew 2 behind the Commander and Pilot stations. Commander, Pilot, &quot;jump seat&quot;, AFT1 and AFT2. The &quot;jump seat&quot;, AFT1 and AFT2 positions have a 360 deg field of view. of view – simulating the anatomic limits. during RMS and Docking operations. Zoom-in or Zoom-out and improve the readability of the gauges or panels. Right-Click once in order to enter Panel-Selection Mode. into the 3DVFD view, select other panels or just look around. there instantly by pressing F2. buttons and keyboards arranged on panels which surround the flight deck. 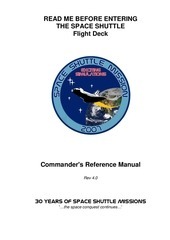 Manual (SCOM) which can be downloaded at www.nasa.gov. can zoom in a specific area and read labels or MFD or HUD information. account the external light which comes from the Sun. use any one of them. respectively. You cannot have both keypads on screen at the same time. Direction Indicator (ADI) on the right. or during approach or landing. ENTRY (approach) used for the entry phase, or TAEM. it later on after performing a maneuver. 5. Range – Primary (left) and Secondary (right) in miles. some are critical and must be addressed immediately. go off after the situation is corrected. together with the Fire Suppression System. regardless whether the Shuttle is on the &quot;day&quot; or &quot;night&quot; side of Earth. are fully operational and can be turned on and off at any time. to the OBSS camera used for thermal tiles inspection. special ALC and Gamma are not. Elbow and PL1 and the video signal can be routed only to MON1. to the MON1 and MON2. points, depending on the nature of the mission. XHAIR function is simulated at this time. want to look up through the upper aft windows. one has been ever installed and used. Shuttle cockpit via the computer and joystick. Ce fichier a été mis en ligne par un utilisateur du site. Identifiant unique du document: 00397920.